Bleached oak color is often use in the modern interior. Matte relief surface of natural material has luxurious look. Light shades of this material fit perfectly to the interior of any room shape and size. Budget options for interior and decoration are represented by artificially created imitations. Artificial materials of democratic price, meanwhile, are not inferior in aesthetic qualities to original pieces. This makes it possible using furniture and finishing materials of bleached oak color in any format of living space. We suggest you to familiarize yourself with the possibilities of using bleached oak color in modern interior design when decorating premises with the most diverse functional purpose by the example of our large-scale selection of photos of modern design projects. Bleached oak is represented in a fairly wide range of color solutions – from a pale pink, very light tone to a gray-silvery, deliberately aged oak. The shade of bleached oak can be both cold (have light notes of blue or violet) or warm (gentle peach and light beige shades). 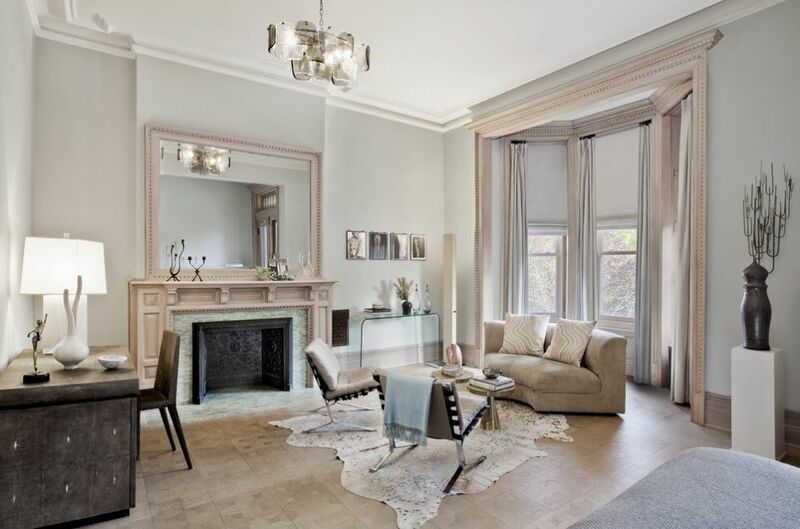 In any case, every owner of an apartment or a private house who plans a full-scale renovation or a small alteration of his own home will be able to find his “own” shade of bleached oak, which will harmoniously fit into the created image of the room. the color palette of the interior (bleached oak is especially good in combination with contrasting color solutions, but adjacent shades will also look respectable, in the case of a small room that needs to be visually enlarged). decorative elements for various purposes and designs (parts of lighting fixtures, curtain rails and curtains, picture frames and mirrors etc.). The bleached oak color can be safely considered as almost universal. 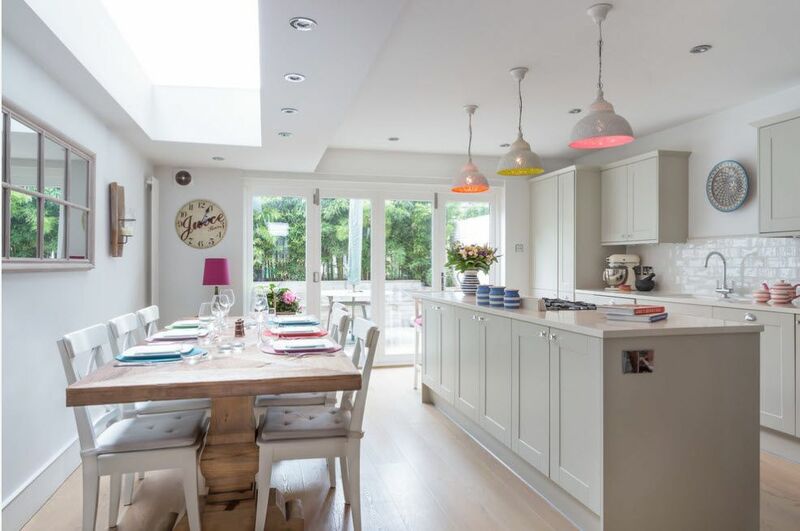 Light shades and beautiful texture harmoniously fits into any image of the room. It is noteworthy that bleached oak is used by designers of the most diverse directions for creating both objects of mass use and exclusive things. Bleached oak in modern interior can be found in the form of a whole surface (floor, ceiling or wall), a piece of furniture (cabinet or built-in) and miniature elements, without which the picture of the room would be still incomplete. 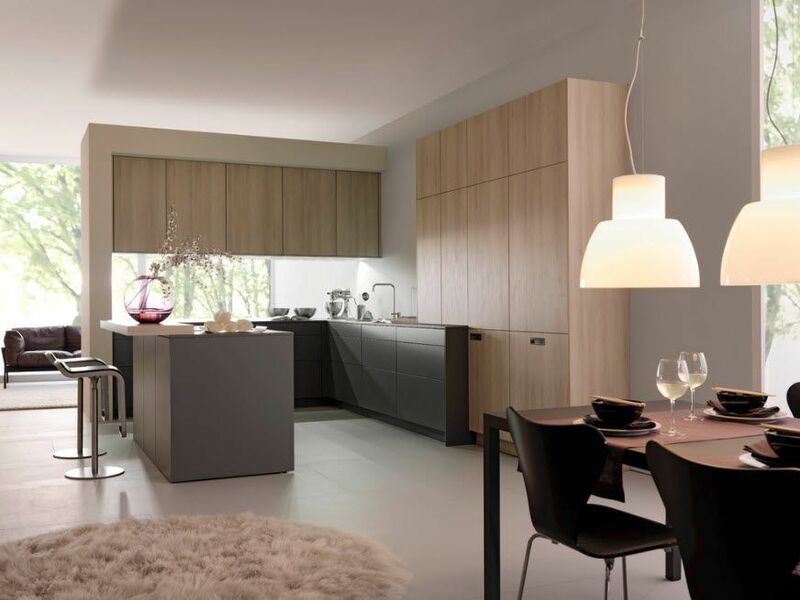 The universality of bleached oak wood is also in the fact that it can be used in rooms with different functionalities. 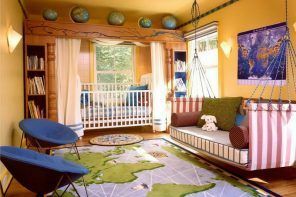 Light noble shades will be appropriate both in the bedroom and the living room, create a harmonious atmosphere in the children’s room and give refinement to the kitchen or dining room, harmoniously fit into the light image of a bathroom with white plumbing. The universal, light base of bleached oak will organically fit into the design of a small apartment or large home ownership, studio apartment or standard layout flat. This material can be used even in the office for the execution of various interior elements or surface finishes. Bleached oak as a color solution for creating floor coverings is one of the most popular directions for using noble, light shades. Pleasant tones, texture and beautiful natural pattern of light wood will organically look in small rooms, helping to visually increase the volume of the room and hide possible shortcomings or architectural imperfections. excellent quality of wear resistance (marking from 1 to 5 on the laminate packaging), resistance to abrasion and the appearance of scratches. 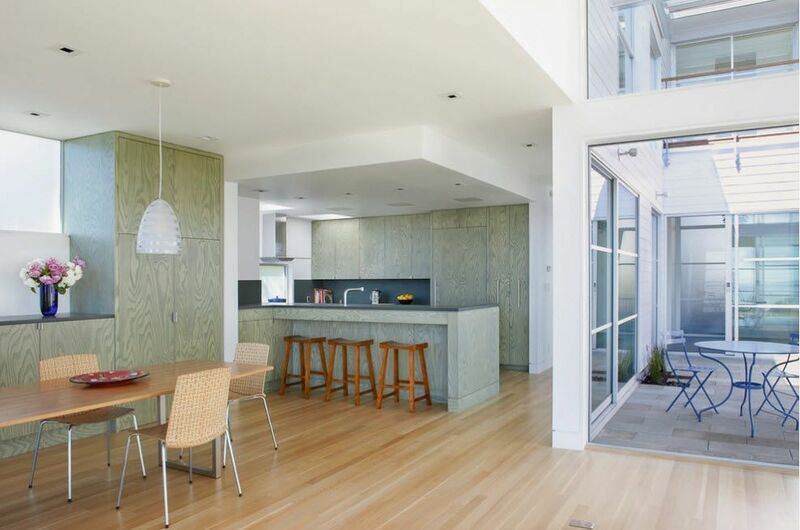 Light flooring in bleached oak color scheme is a neutral design option. This is an excellent background for bright furniture, contrast combinations. Create an accent on the background of flooring in the color of bleached oak is not difficult even for a beginner in the field of interior design. Very often, a bleached oak color is used to decorate the sleeping areas. This room as no else requires creating the most comfortable and relaxing atmosphere. Bright surfaces perfectly cope with this task, helping, among other things, of visual expansion of a small space. 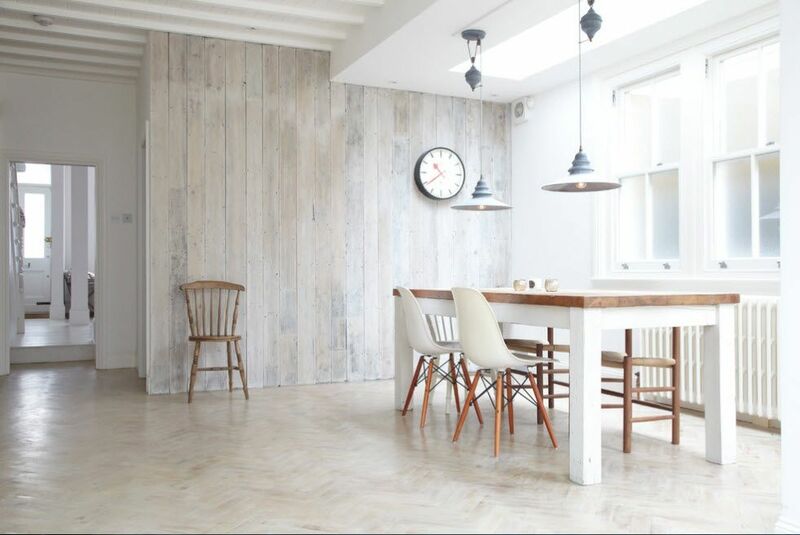 Bleached oak is easy to see on the floor of modern kitchens and dining rooms design projects. Modern designers recommend the use of a light laminate for those who want to create a bot just light and fresh image of the room, but to achieve a feeling of almost sterile cleanliness in the room for cooking and tasting food. 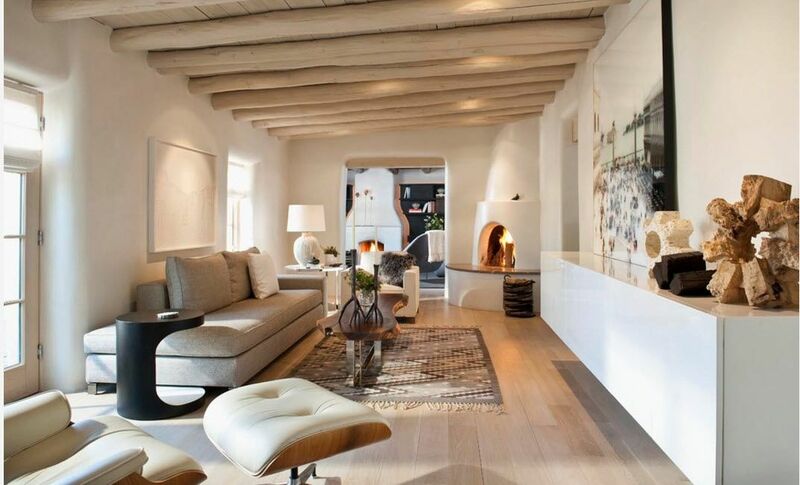 The modern living room is practical, but herewith incredibly aesthetic room. It should satisfy all the needs of the household in various options for rest and relaxation, but should look stylish and modern at the same time. To maintain the relevance for many years helps the use of universal design techniques. A light floor covering on which any furniture becomes an accent is a great idea for those who are not yet confident in their design abilities or are not ready to take risks in selecting color solutions. Lied in traditional herringbone bleached oak parquet is a classic, which will help bring elegance and sophistication to the interior. As a result, flooring can easily become an accent of the interior, attracting all sights. Light shades of bleached oak allow the use of this wood or its spectacular imitation to create decorative materials not only for walls, but also for the ceiling. Wall panels in bleached oak tone can be presented in the rack, tile, and leaf version. Both total finish with wooden panels and the combination of products with other finishing materials can be used for the decoration of the ceiling and walls. One of the options for using wood with a light, slightly worn-out natural pattern is the execution of the ceiling beams. Such a coloring does not make the image of the ceiling heavier, adding a slight touch of village life, proximity to nature to the whole image of the interior. The furniture items painted in bleached oak color have the ability to bring lightness and freshness to any interior of the room. Even massive pieces of furniture do not seem monumental due to the use of light wood tones. 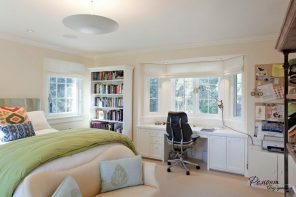 In small rooms with insufficient natural illumination, such furniture becomes a “magic wand” for the interior. It fits perfectly into any interior, brings a touch of sophistication and even luxury. One of the most popular ways to use bleached oak color in furnishings is to create storage systems. Light facades with a beautiful natural pattern of wood organically fit into any interior of the room, without cluttering its space, even having large dimensions. The most widespread bleached oak got in the producing of the facades of kitchen cabinets. 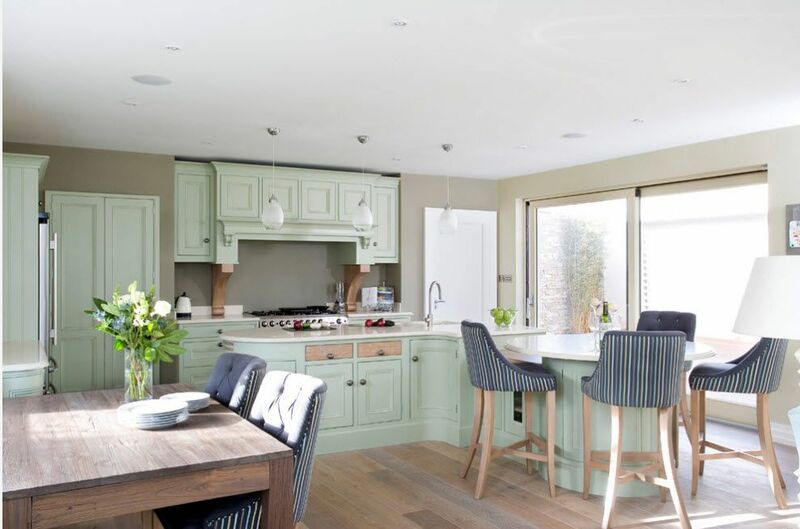 Light, fresh, clean, but at the same time a cozy image of the kitchen space will suit everyone who is surrounded by bleached oak colored storage systems. 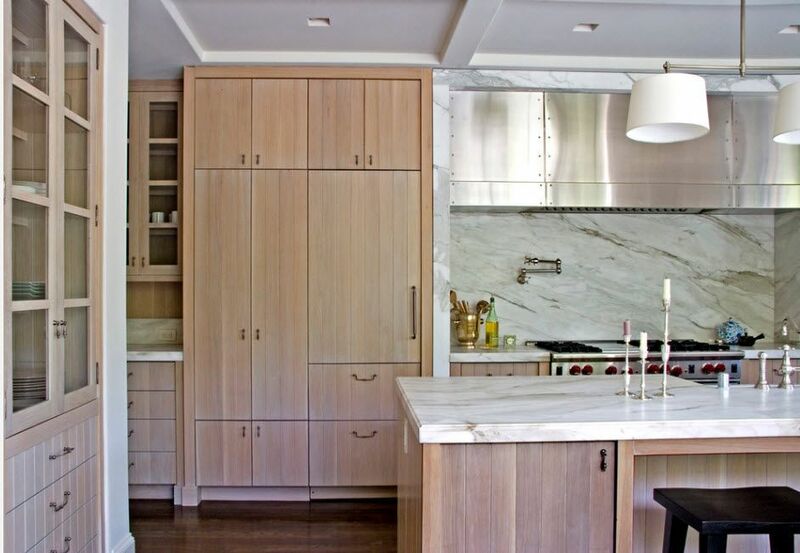 No less attention deserves the execution of kitchen countertops in bleached oak tint. They perfectly shade the brightness of the details of household appliances and are able to harmoniously combine with almost any color solution of the kitchen cabinets’ facades. Even a small piece of furniture, such as a coffee table, shelf, stool or stand, made in bleached oak color, can bring a touch of lightness and freshness in a modern interior. Such furnishings look especially spectacular on a dark or bright background or finishing with a print. When using bleached oak door leaves in the interior, you can go in two ways: fit these elements into the overall picture of the room or play in contrast. It all depends on the size of the room, the parameters and the number of interior doors and the image that you would like to create. Interior doors with glass inserts will help visually increase the space of narrow corridors or a small hallway. But solid canvases, without inserts and decor perfectly fit into almost any stylistic design of the auxiliary rooms.